After two years of a first/second combination, I am back to teaching just one grade level - second! As much as I loved first grade, I love second, also. They become more independent and my class just loves read-to-self! Tomorrow we begin our place value unit for the next three weeks, which puts us in between Thanksgiving and Christmas, so I had to make our task cards cutesy! 😃 Here's some of the things that we are going to be working on. My students this year really benefit from getting up and moving around, especially since our math time is after recess and lunch. I try to have at least one activity a day to have them up and moving. Having these task cards with accompanying recording pages is going to be perfect! This all comes from my Christmas Place Value Unit. 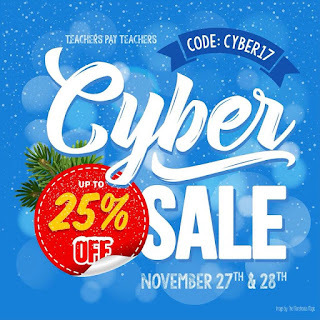 It will be on sale on November 27 and 28 for the TpT Cyber Day Sale! 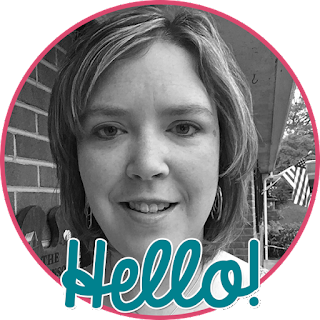 Click here or on the TpT sale picture to shop my store! But wait! 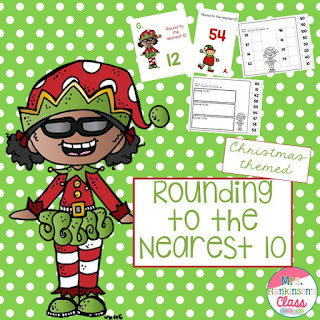 Need some extra activities to review rounding? Check out this new unit! And a Cyber Monday freebie for you! 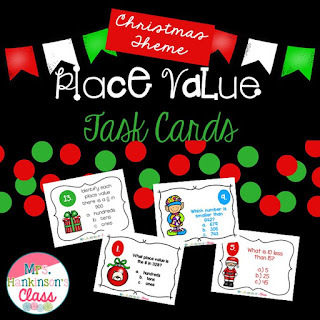 Two activities similar to the place value task cards in the Christmas Place Value Unit for free! 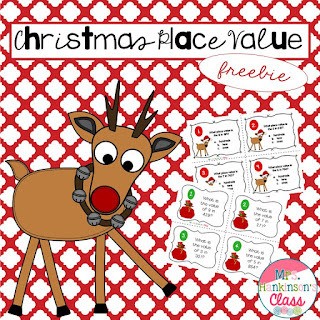 Click here or on any of the images to download the Christmas Place Value Freebie! Included are 2 sets of task cards (one page from each is pictured below) with recording pages and answer keys. I hope you have a great week back after Thanksgiving! Here's to the Christmas countdown!